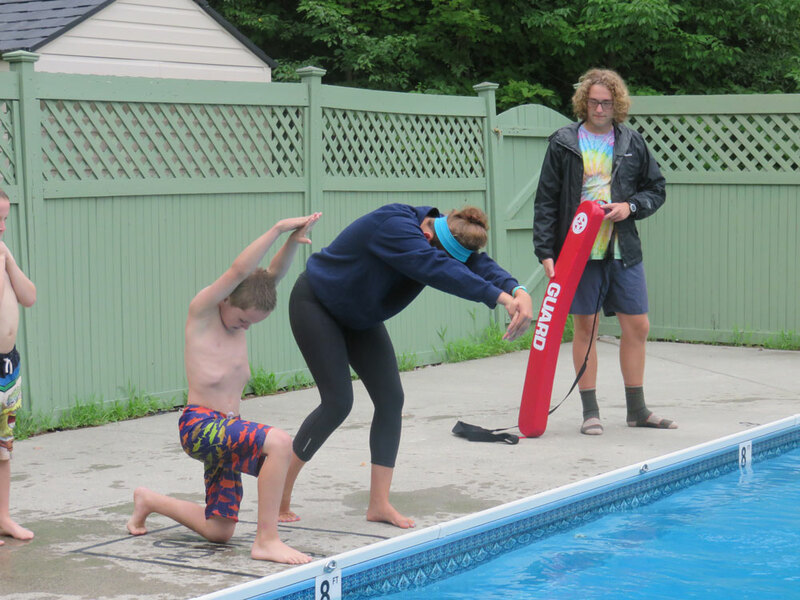 Camp Downer offers a swimming program for all campers who wish to learn new swimming strokes, practice and improve the strokes that they already know. 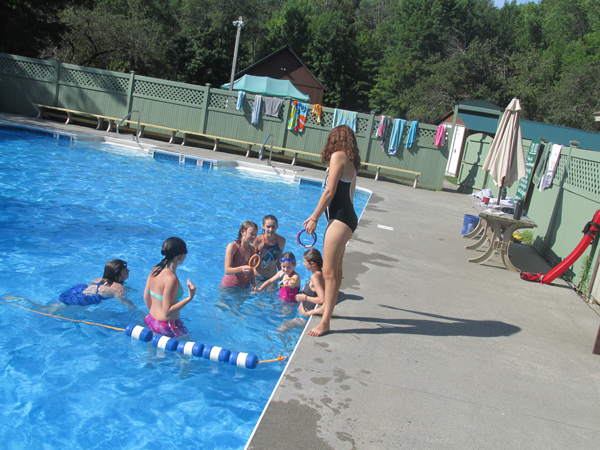 All campers who wish to take swimming lessons must be tested at the pool on Sunday. 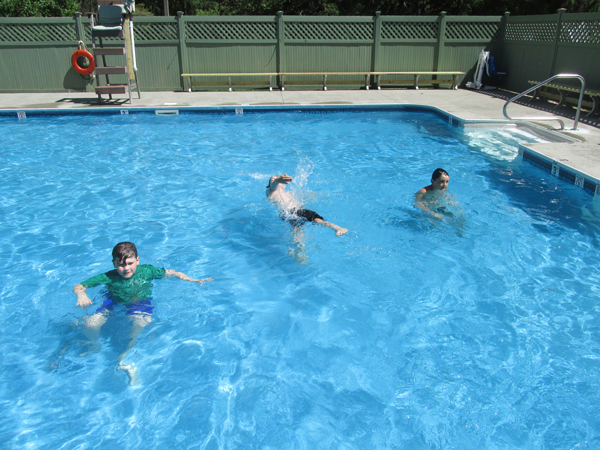 The purpose of the testing is to determine the camper’s current swimming level. 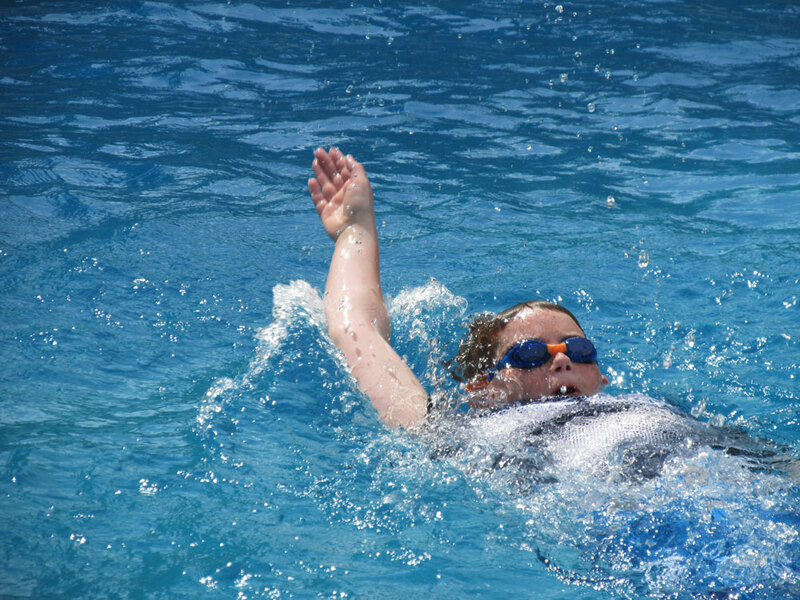 Campers who arrive at camp after 4:00p.m. 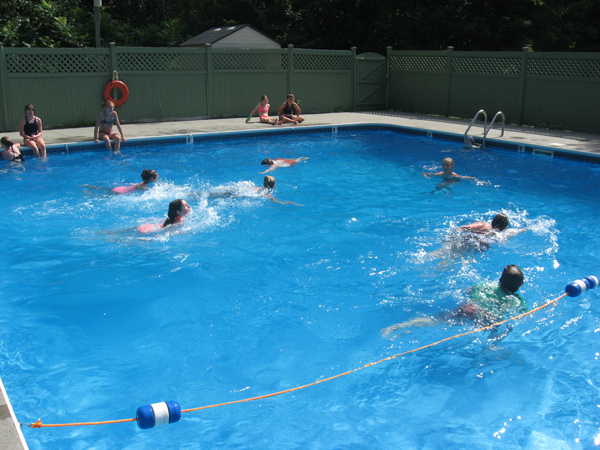 on the Sunday arrival date will be given a dry land test. 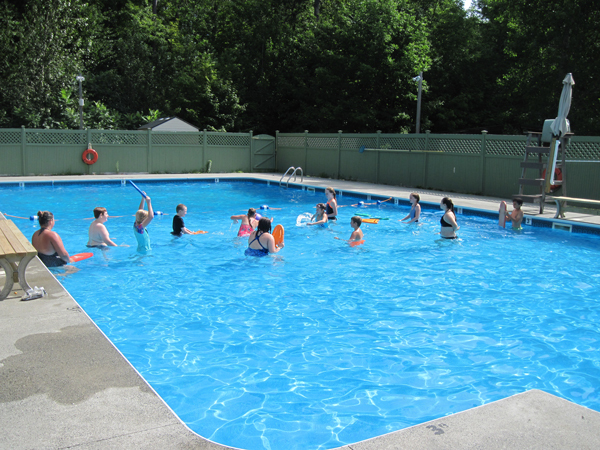 During daily lessons a certified life guard will be at pool side while a trained swimming instructor will work with individuals or small groups to help them learn new skills or improve on skills that they already possess. 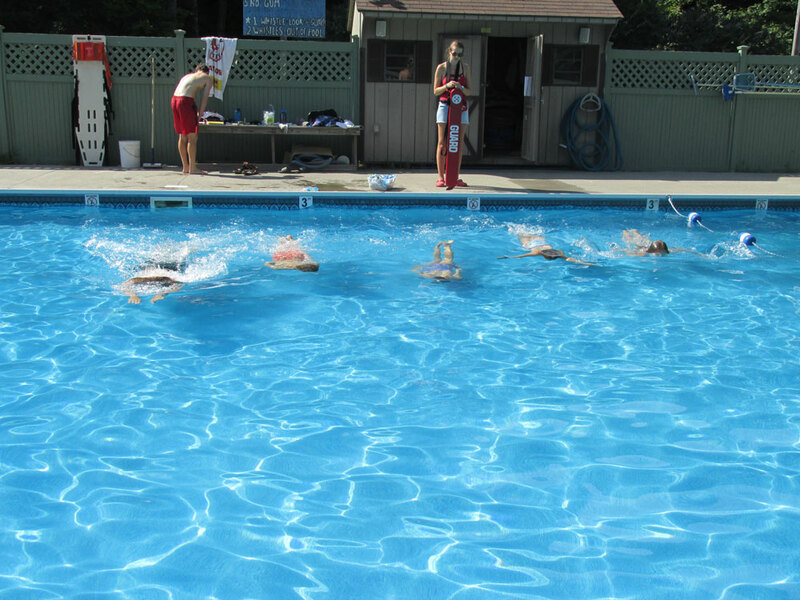 Note: All campers will be offered an opportunity for “free swim” during daily free time activity periods.